At Morrisons you can make your own salad. 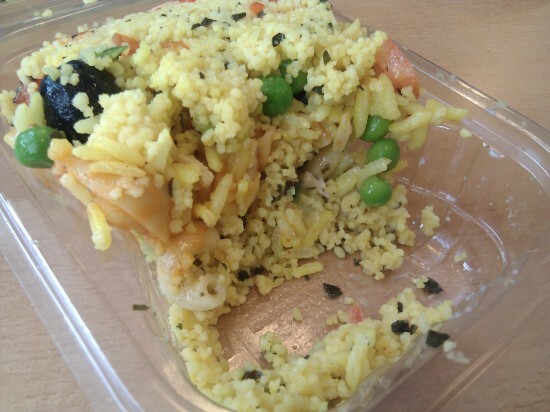 In order to fit the most salad possible into the small plastic container, it is important that any rice or couscous is added either first or last (or both), in order that it can fill all the gaps between the chunkier items. It’s also important to squish everything in with the spoon as you add it, but not too much otherwise it springs open while at the checkout.